...and why can't I plug my puter into the modem next to my cable box and use that for internet? Because your Internet static IP address is configured to the "Internet" cable modem's MAC address. And the set top box needs to be plugged directly into the Cable modem to get the DHCP off the 10.x network, however you can DHCP on the "Internet" cable modem and get an 10.x IP address on the STB Cable Network, for the moment until TCL properly VLAN the two networks apart, which should be happening shortly. However you can unplug the STB Cable Modem if you don't mind loosing the extended EPG and not having Pay Per View, the upside is that you won't have your Set Top Box rebooting on a semi-daily basis. so...if I want to play World in Conflict online on my big telly I can just swap the modems over? Cheers for the help btw. why don't you just get a (wireless) router to interface between the internet cable modem and your pc/home network and connect your game console to the router? oh wireless, where for art thou wireless!!! yeah a router would be cool..but I only want to plug the old PC into the big screen (aren't they all these days anyway) telly to play a little halflife2/GTA/world of conflict/oblivion/COD every now and again. So a router isn't really necessary. BarTender: Because your Internet static IP address is configured to the "Internet" cable modem's MAC address. And the set top box needs to be plugged directly into the Cable modem to get the DHCP off the 10.x network, however you can DHCP on the "Internet" cable modem and get an 10.x IP address on the STB Cable Network, for the moment until TCL properly VLAN the two networks apart, which should be happening shortly. The vlan segmentation of the management side of the Wellington network was done Tuesday night / Wedensday morning. As far as I know the STB issue was related to the volume of ARP traffic they were exposed to, so in theory they should stop rebooting now they're in there own vlan. On a related note, I understand there's a plan afoot to segment the internet side of the network as well some time Q1 next year to address the hordendous volume of ARP in there at the moment. 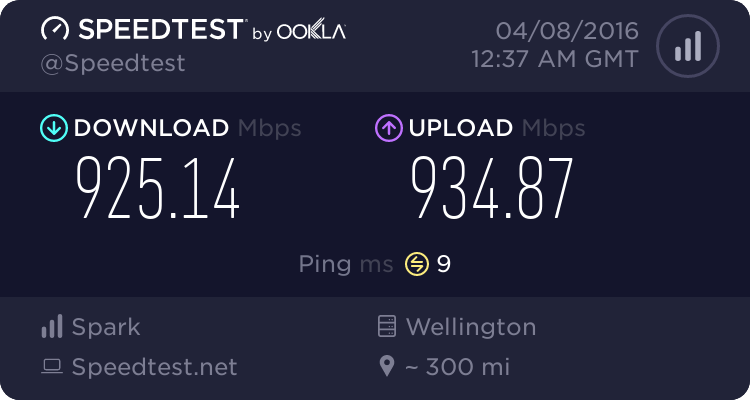 doppleganger: The vlan segmentation of the management side of the Wellington network was done Tuesday night / Wedensday morning. As far as I know the STB issue was related to the volume of ARP traffic they were exposed to, so in theory they should stop rebooting now they're in there own vlan. Hummm, not so sure on the Arp theory... It could definatly have contributed to the issue, but I have my own theory which is the fact that the ADB STB is downloading the Full EPG file off the server, which is ~5.5MB, then downloading additional program information for each program you watch. It could quite likely be getting overloaded with too much data in the poor little stb, those things only have a finite amount of memory (32MB).. so 5MB of EPG is a lot to take up. Just my theory, will see if I can still crash the box tonight or not. doppleganger: On a related note, I understand there's a plan afoot to segment the internet side of the network as well some time Q1 next year to address the hordendous volume of ARP in there at the moment. Yay, that would be great, it's really what should have been done from the start IMHO. STB Rules for happy living: "In case of error I cannot correct myself, issue reboot"
Sky digital boxes do this too. ..and you have no EPG data. Something a lot of people like to have (especially when it's part of the service they're paying for). I doubt very much of any change in picture quality. The difference between your dreambox and the ADB box is probably you can 'tweak' the colour/bright/contrast/sharpness before the picture hits your tv. ZollyMonsta: ..and you have no EPG data. Something a lot of people like to have (especially when it's part of the service they're paying for). As for EPG I get current + next, which is what is transmitted over the EIT, which is exactly the same as what anyone else gets when they turn off their STB Cable Modem, to prevent their boxes rebooting. No tweaking on my side to improve PQ, plug the box in. This is also just over Composite not even over Component (not that I have a very big tv or flatscreen tv, just a old nasty Sony 28" CRT at home). I will be doing screenshots tonight now that I have worked out a capture card for a PC and will post them tomorrow. Won't be able to take the "same time" screenshot as I only have one smartcard / capture card and it will involve moving smartcards & composite RCA Cables between the two boxes... but it will at least give you an idea of what I am talking about (hopefully).